Laylah, enslaved by Were customs and the will of her abusive husband, Alpha Yon, fights to win back her independence and happiness. Her heart is pulled in opposite directions by two very different men. Miguel, steadfast and loyal, wants more than just friendship. 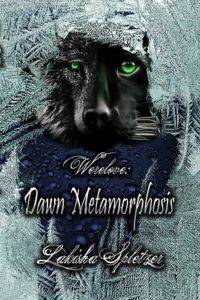 Donil, her first love and true mate, desires to keep her safe but his Alpha ways keep coming between them. With a baby on the way, Laylah must make a choice: become a Were in truth, or stay forever enslaved by Alpha Yon. Will the price of living her dreams be too high when faced with the force of Were customs?